The Rotating Rack, most commonly referred to as the “Lazy Susan,” is an irradiation facility located on the periphery of the OSTR core. It is a welded cylindrical aluminum can that houses a rack of 40 evenly-spaced sample tubes. The samples sit approximately 2.375 inches above the fuel centerline. Samples are loaded and retrieved from the reactor top. 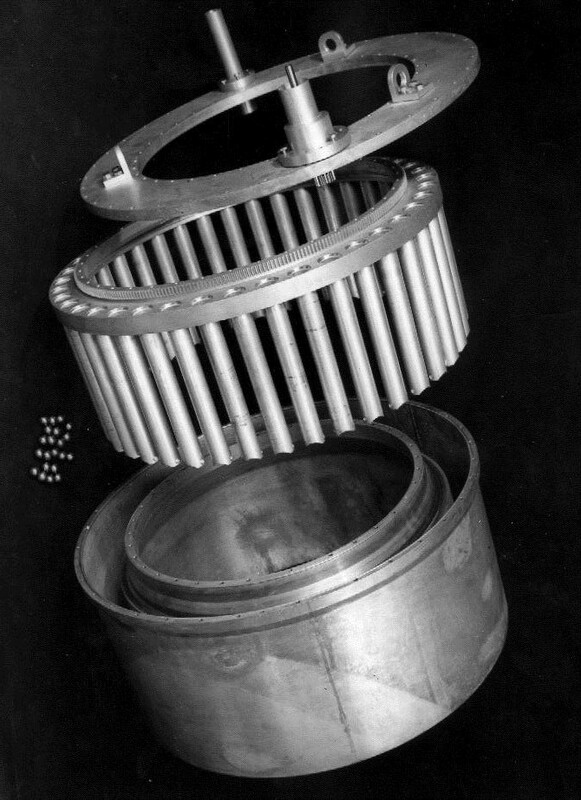 The rack is rotated via a drive system on the reactor top’s center channel. The rotation of the rack provides for an even fluence to all samples in the Lazy Susan. This facility is primarily employed for NAA, which is used in a variety of fields, such as archaeometry, biology and radiochemistry. The rotating rack is ideal for irradiations that have many samples and do not require a high fluence for activation.